Dwayne Johnson faced plenty of competition in the WWE, but he’s basically king in the world of film. Through constant hard work, the former wrestler has carved out his own place in Hollywood as the king of action-packed adventures. 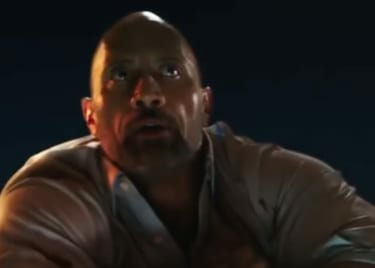 Johnson has starred in some of the biggest blockbusters in recent memory, including San Andreas, the Fast and Furious films, and Jumanji: Welcome to the Jungle. 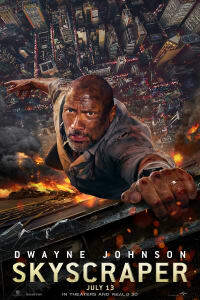 His latest film, Skyscraper, is due out in July and it promises to be a spectacular thrill ride. Johnson’s rise to the top of the action world is a lot like the career of Arnold Schwarzenegger, the original action king. The Terminator star led so many blockbusters that he practically invented the modern version of the genre. The Rock and Schwarzenegger are two titans, each representative of their respective eras. Looking at them side by side, they actually have a lot in common. While they’re both more commonly known for their work in Hollywood, Arnold Schwarzenegger and Dwayne Johnson began their careers in a different field altogether. Schwarzenegger took part in sporting activities as a youth, playing soccer before choosing to pursue bodybuilding as a career. He started weightlifting at the age of 15, and soon began competing professionally. He won Mr. Junior Europe in 1965 at the age of 18, then won Mr. Europe the following year. Much like Schwarzenegger, Johnson didn’t begin his career as an actor; he started in the wrestling business. Johnson actually comes from a family of wrestlers. His father is WWE legend Rocky Johnson, and his grandfather was the incomparable “High Chief” Peter Maivia. Carrying on the tradition of his legendary relatives, Johnson himself would go on to become the family’s most iconic wrestler. Competing as The Rock, he became an eight-time WWE champion. Alongside Stone Cold Steve Austin and The Undertaker, he’s widely regarded as one of the greatest wrestlers of all time. Following his celebrated bodybuilding career, Schwarzenegger moved into acting. His first role was in 1970, playing the eponymous character in Hercules in New York. His acting career took a little while to get going, but when the title role in 1982’s Conan The Barbarian was his rela break, and he never looked back. Following Conan, Schwarzenegger developed a celebrated career in action films. In films like Commando, The Running Man, and Total Recall, Schwarzenegger had a knack for approaching characters in a manner that made his work iconic. That skill really blossomed when the actor was paired with visionary directors, and so The Terminator films and Predator brought him career-defining recognition. The Rock is well on his way to accomplishing a similar feat. Following his semi-retirement from wrestling, Johnson went on to star in films like The Mummy Returns and Doom. He’s tried a variety of approaches, from indie oddities like Southland Tales to remakes like his own version of Schwarzenegger’s early role, Hercules. 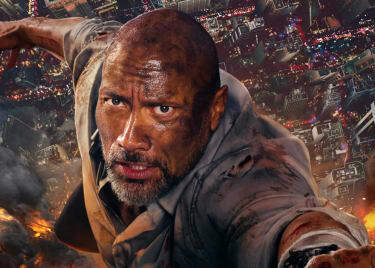 His work in action movies like Rampage, as well as his role in the Fast and the Furious franchise, has really cemented him as the current king of the genre. 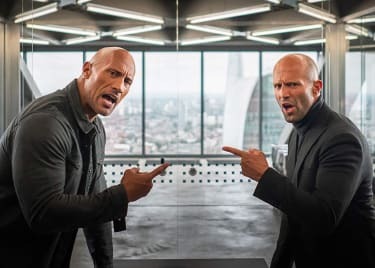 Additionally, much like Arnie did before him, Johnson has also carved out a career as a comedy actor, appearing in films like Baywatch and Tooth Fairy, as well as leading the HBO TV series Ballers. Arnold Schwarzenegger is still a force to be reckoned with in the film world. If anyone is worthy of taking his crown, however, it’s The Rock. We’re excited to see Johnson work his magic in Skyscraper when it arrives this summer.